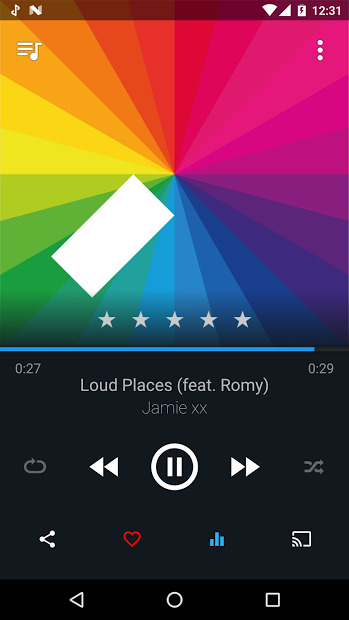 doubleTwist is a music player and podcast manager with music sync functionality. It performs a beautiful, easy-to-use interface that eliminates the need to jump between different apps to play music, manage podcasts, or sync third party playlists. 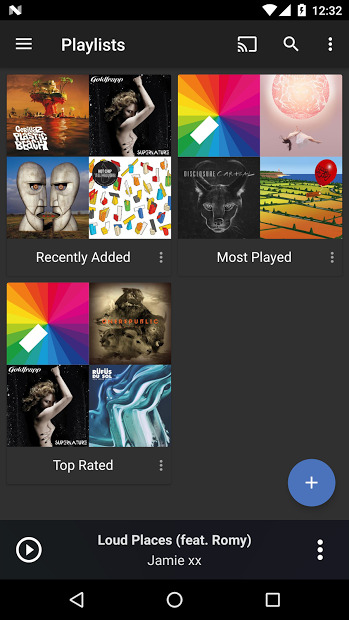 doubleTwist Music Player is a free download, not a “trial”. But, you can upgrade your experience by unlocking (buying a Pro upgrade) the following premium music player features: AirSync, Chromecast/AirPlay/DLNA support, 10-band equalizer, album art search and removal of podcast ads. Yep, the Chromecast feature, it’s only available in the Pro version of the app 🙁 . But still a great app!